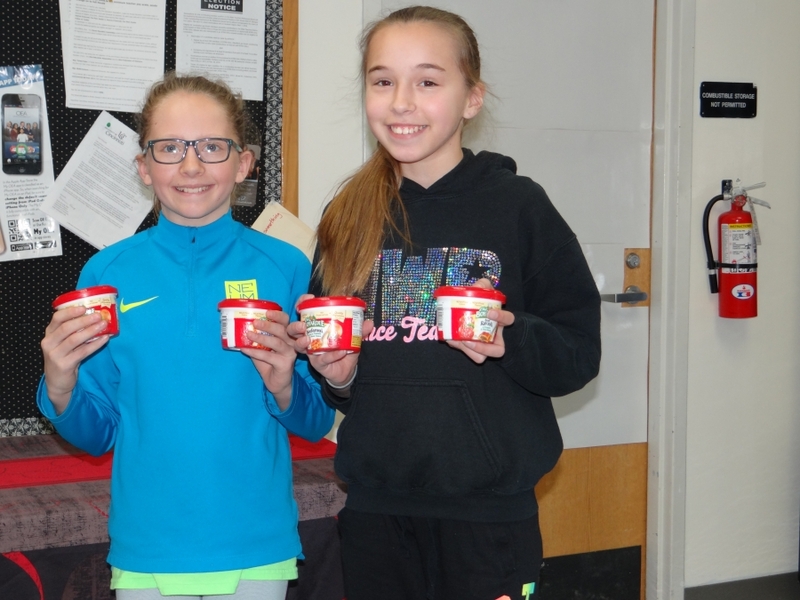 Students hosted their annual “SOUP”er Bowl Canned Food Drive for the Freestore Foodbank. Students were encouraged to bring in as many cans of soup as they wished to donate. Each item counted as a vote toward whichever team the student wanted to win the Super Bowl, either the New England Patriots or the Philadelphia Eagles. The food drive ran from Monday, February 1, through Friday, February 5. At the end of the day on February 5, they announced the winning team of the drive. The wonderful efforts of Springmyer students and their families collected 268 pounds of food to benefit families in need. The S.M.A.S.H. (Springmyer Moves and Shakers) Club helped coordinate the efforts and was led by teachers Mrs. Janette Wuestefeld and Mrs. Mary Ernst.